Sailing Season 2013 has begun! What a difference a year makes! Though I've seen worse winters, this one was no joy, with a couple of good snowstorms and very cold throughout. (Being hospitalized over Christmas week with the flu, then overnight a month later for testing after a doctor's erroneous false alarm "heart attack." didn't help either.) I burned through three cords of firewood, but spring has finally arrived — very belatedly, especially by comparison to last year's. Sort of anyway, but finally enough to uncover Chip Ahoy — though still only reaching the low-60s. 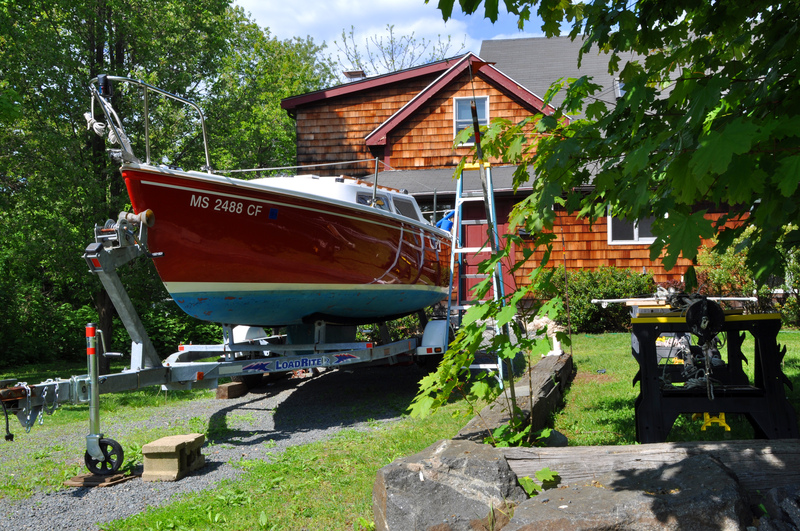 Late Saturday morning, April 27th, I pulled the boat from alongside the house to out front, uncovered it for the season, then climbed aboard and opened it up. On Monday I got help taking the mast off and setting it alongside on its sawhorses. "Triton Marine’s Hull Cleaner is the most aggressive cleaner of its type on the market, yet remains the safest to your boat’s surfaces and the environment. 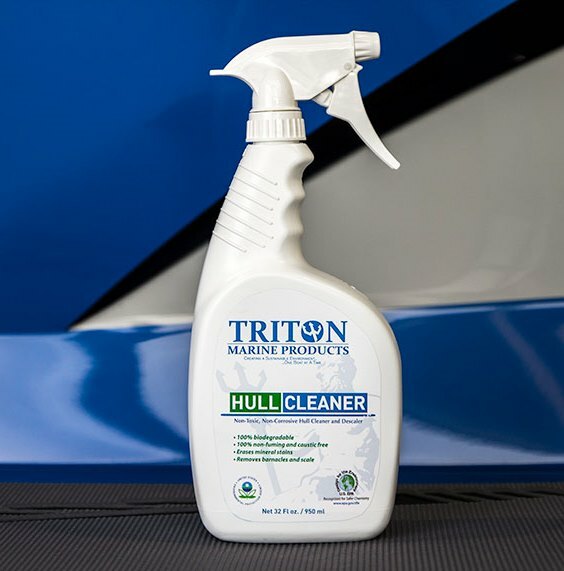 SynTech, the synthetic power driving Triton Hull Cleaner, removes 70% more calcium buildup than hydrochloric acid but cannot harm your hull. It’s so strong, it can remove barnacles and other calcium life forms in minutes. 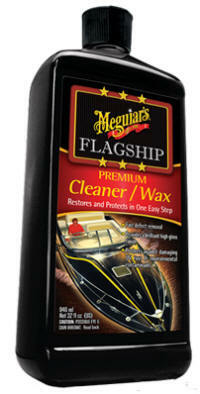 Hull Cleaner is non-corrosive and non-fuming." The reviews extolled its virtues: spray it on, let it sit for 30 seconds, wipe off the barnacles. For less than $20 bucks, how could I beat that? I ordered it, paid extra for "expedited delivery." First I carefully knocked off the barnacles with the trusty rigid putty knife and light taps with a hammer. Four applications of the hull cleaner over the course of yesterday and lots of wiping with a sponge and hosing in between — it wasn't doing the promised job. Ultimately, I used 3M Extra Heavy-Duty compound by hand to clean off the barnacle remnants. This morning I went out to the boat without a plan but to remove the gas tanks, so I can empty them into the Blazer and refill them with fresh gas. I decided to continue where I'd left off yesterday, scrubbing the waterline now that the aft ends were white instead of dirty and discolored. That 3M Extra Heavy-Duty compound was doing such a good job — even on the red paint above the white waterline — that I decided to keep going with it. I'd planned to borrow Bob Donovan's polisher again this year, but time's getting short and I don't have it yet. The hull didn't look that bad, so I hand-compounded the port-side and transom. What a difference it made, nonetheless. (In the top two photos and the one on the left the difference between the forward area I'd compounded and the aft half of the hull yet to be done is apparent if looked at closely.) 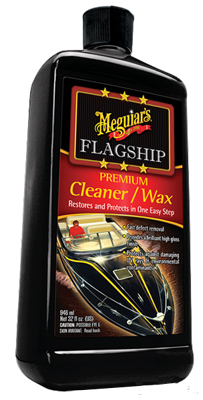 With with hand-compounding of the port-side and transom completed, I decided to keep going, protect my effort with Meguiar's Flagship Premium Cleaner/Wax. What a difference this made. 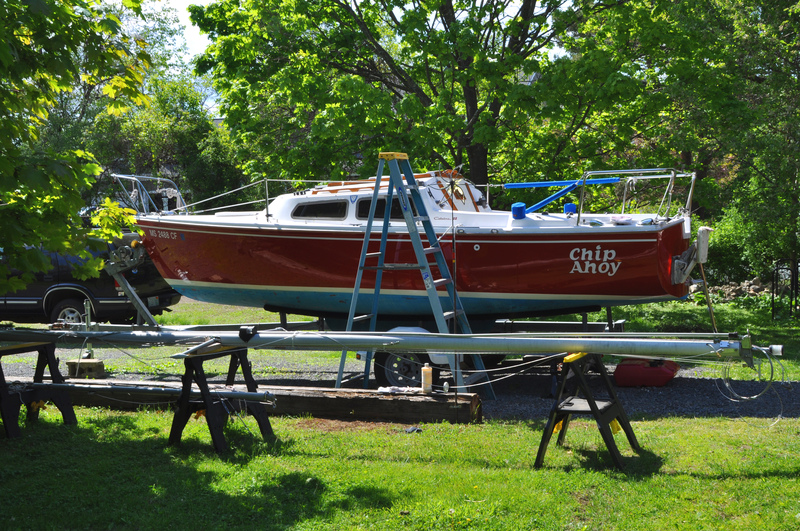 The cleaner/wax works great on chrome and the brass transom scuppers too, I discovered. It's never-ending ... onward to Sailing Season 2013!